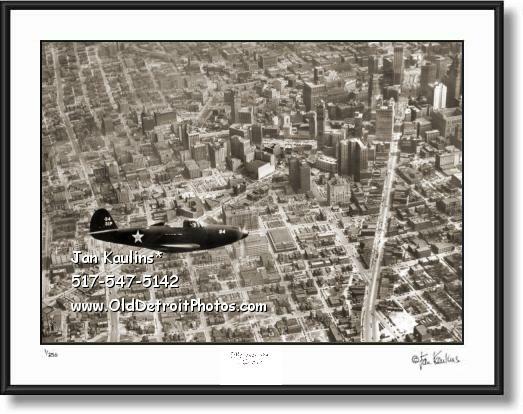 P-39 COBRA FIGHTER PLANE over Detroit 1941 photo picture print for sale. This unique historical WWII era COBRA FIGHTER PLANE flying over Detroit is made from a professionally restored vintage original black and white negative/photo. Michigan Selfridge Field was home base to this P-39 Fighter Jet shown in this dramatic World War II era Detroit photograph.